Women and girls are starting to step out of the shadows to become more visible in policy. The third Millennium Development Goal (MDG) is to ‘Promote gender equality and empower women’, and it has helped to put girls on an equal footing with boys when it comes to primary education – a big stride in the right direction. Maternal health was also a focus in the MDGs, with targets to reduce maternal mortality by three-quarters and achieve universal access to reproductive health. Both have led to improvements, although their aims haven’t yet been fully met. 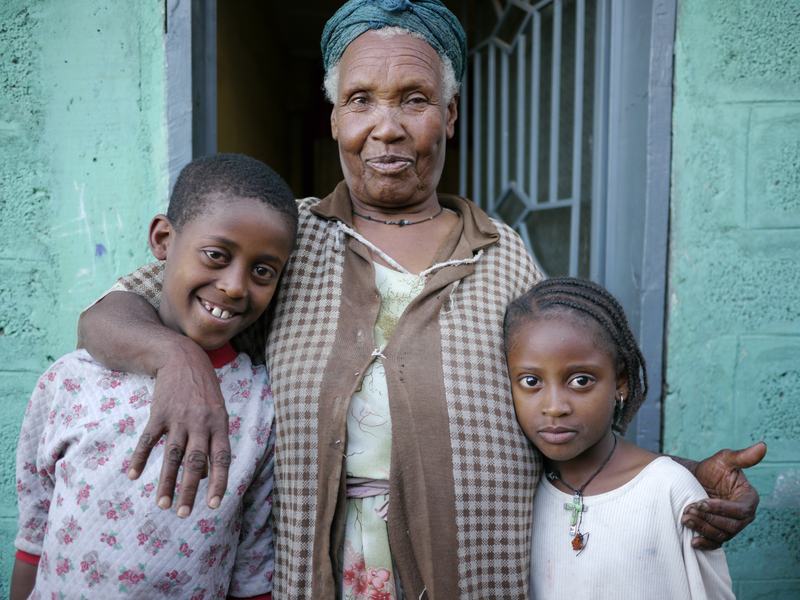 56 year-old Yolande cares for her two grandchildren and Emile who was abandoned by her mother. At Age International we are pleased with this progress, but concerned about what will become of those same little girls and young women once they reach the later stages of their lives. 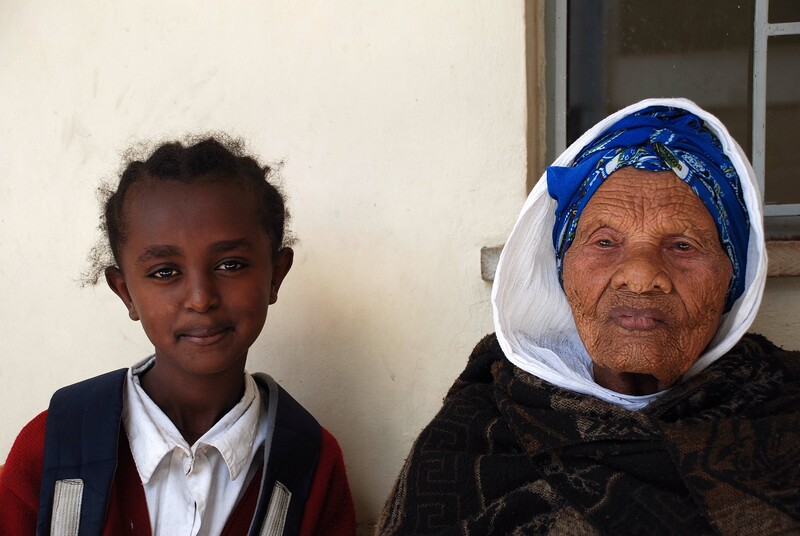 Contrary to popular belief, living into old age in developing countries is no longer the exception – the world’s population is ageing, and by 2050 there will be two billion people aged 60 or over; so, more older people than children under 15. And guess what else? The majority of these people will be women living in developing countries. Older women fulfil crucial roles and the environment they inhabit must be an enabling one if they are to continue fulfilling these roles. Is it fair to take away her home? Ethical to deny her protection? 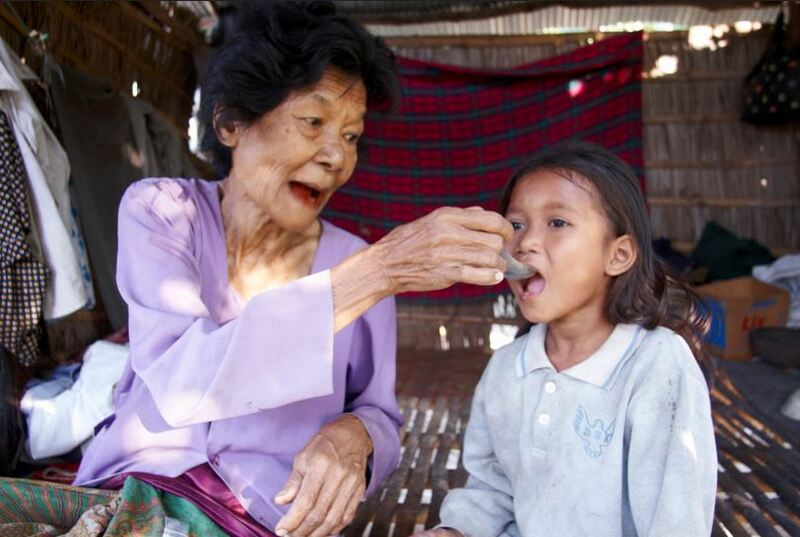 An older woman feeds her granddaughter in Cambodia. In an ideal world, a little girl should be able to access both primary and secondary education and be valued on equal terms to boys, eat as many meals as her brothers, access the same level of healthcare, and be protected from abuse and discrimination. But imagine, for a moment, that same girl in her 60s or 70s. Perhaps she cares for her grandchildren while her own children migrate to the cities, and works as a smallholder to support them. Is it any less important now that she has adequate nutrition, and access to any healthcare she needs? Is it fair to take away her home when her husband dies, and to dismiss her right to a livelihood? Is it ethical to deny her protection from the appalling abuse and discrimination that older women too often experience? Whatever her age, it is likely that that woman contributes or has contributed, and denying her these rights could have an adverse impact not just on her but on the people who depend on her. Daw Hnin plays were her grandchild. Despite their increased vulnerability, older women remain largely invisible to policy-makers, and are too often excluded from international development programmes. Older women have specific needs and experiences, and these should be considered by programme co-ordinators and recognised explicitly in gender equality targets and indicators. Discussion around gender equality often focuses solely on younger women – this reinforces the flawed and outdated message that women are only important while they can reproduce. People don’t just disappear when they reach a certain age, and in many cases older women are actually the lynchpins of their families and communities. Wagay and her two of her grandchildren. Through our policy work, we are trying to raise awareness of older women and men as active rights-holders. We are talking to parliamentarians, other stakeholders and decision-making bodies about the need to collect and analyse data disaggregated by age, gender and disability. We are calling for the post-2015 development agenda that follows the MDGs to include a gender equality goal with indicators and targets that are inclusive of all people of all ages and abilities. We know that any attempts to eradicate poverty will fail unless they take into account global population ageing and address existing inequalities. Reducing inequality early on in a girl’s life is crucial, not least because it will reduce the compounded discrimination that she is likely to face later on. But at Age International, we would like to see wider acknowledgement of women as equal members of society across their entire life-course. We would like to see older women’s contributions and achievements recognised on a par with those of younger women and with those of men. 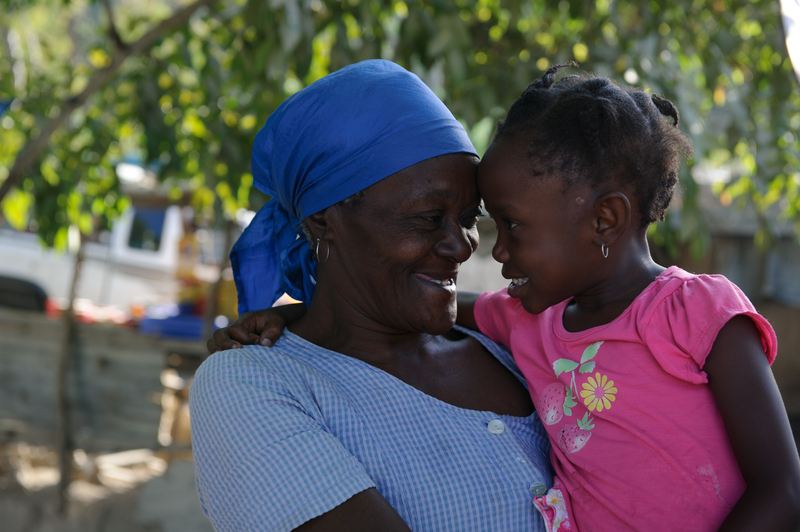 Older women must be empowered and enabled to claim their rights, to live healthy lives, and to contribute as valued workers, care-givers and sources of wisdom, for as long as they possibly can. International Women’s Day, taking place on March 8th, is an annual celebration of the achievements of women around the world, and in some countries it is a national holiday. As the name suggests, the idea is to raise awareness of the considerable contribution women make in every sphere of life, and at every stage of their lives.